Pittwater House’s history is marked by a shared pursuit of excellence through a well-rounded education. Pittwater House started in 1961 as a preparatory school for boys. It was founded by Rex Morgan, who was later awarded an MBE and AM for his contribution to education. Read more about Rex Morgan below. In 1961, there were just six boys. The word spread and by 1964 the school was ready to grow and purchased land in Collaroy to build a preparatory school building for boys from Kindergarten to Year 6. Within just seven years, by 1968, the new Grammar School was opened. Mr Morgan transferred ownership of the school to a non-profit company, which owns and administers the school to this day. Parents loved the educational approach offered to boys at Pittwater House and sought the same for girls. As such, the Girls’ College opened in 1975 so secondary school girls could share the campus with the Boys’ Grammar School. The Junior Girls’ College followed, opening in 1977. Through the early 1980s and 1990s the number of school buildings at Collaroy grew to include a 15-room block, the Great Hall, the playing field, an Olympic short course swimming pool and tennis courts. Pittwater House has continued to grow and evolve with the ongoing support of the Parents Association, alumni and government funding. In recent years, notable work by the Parent’s Association includes the Amphitheatre, Audio Visual equipment in key areas of the School and spectator seating around the swimming pool. The Parents Association also provided funding for the relocation and the initial refurbishment of the school library and media centre. In 2009 the school received an Australian Government Stimulus Grant of $1.7 million for the construction of the Pittwater House indoor sporting stadium, which was completed in September 2011. Further funding for the fitting out of the stadium was provided by parents and the School. In 2003, Richard Morgan succeeded his father as Principal of Pittwater House. He had served as Vice Principal for the previous 15 years, so he was well placed to continue leading the school in the traditions established by the Founder. Dr Nancy Hillier was appointed to succeed Richard Morgan as Principal in October 2010. Read more about Dr Nancy Hillier. 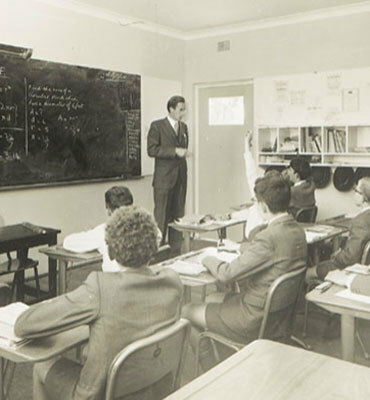 For more than 40 years, Mr Morgan shaped the development of Pittwater House from a small boys’ preparatory school into the major educational institution it is today. He is a former chairman of the Australian College of Educators (NSW) and was elected a fellow in 1979. He is a past president of the Teachers Guild of New South Wales and was a member of the ABC Standing Advisory Committee on School Broadcasts for 10 years. He has been a member of the State Award Committee of the Duke of Edinburgh's International Award in Australia and he was elected in 2002 to be the national president of the Friends of the Award. Mr Morgan was award an MBE on the Queen's Birthday Honours in 1969 for his services to education, and in 2002 he was made a member of the Order of Australia (AM) for his services to education in Australia and internationally.